The Keyring will feature your choice of Two charms. The one mentioned in the product title and an additional One, chosen from over 300 options on the website. All our Keyrings are Handmade to order by Retro Wishes in the UK. 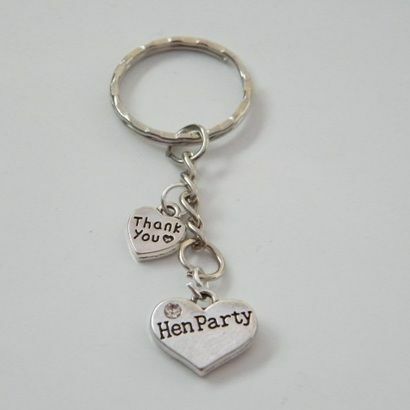 Hen Party Keyring - Triple Charm Style, featuring your choice of Three charms. Lovely Unique Gift Idea. 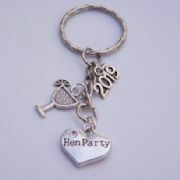 Hen Party Keyrings - Sparkle & Bling Style, available in different colours. Beautiful Charm Keyring Gift Idea.